•	Both teams are off to a quick start. Duke and Maryland are playing at a fast pace. 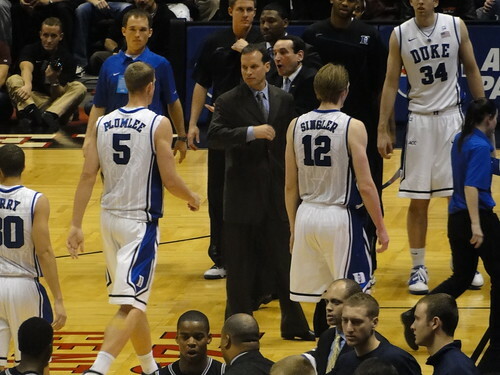 •	Singler is playing well early which is good news for Duke. He was perfect from the field and the FT line to score 14 first half points. •	Turnovers/fouls/missed FT’s are hurting Maryland early. •	Duke is shooting the ball well. •	Duke should start to double team J. Williams in the post- he is too strong for Duke’s bigs. •	Both of these teams can play in the half court and transition. 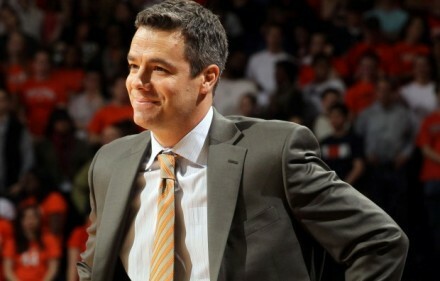 •	Maryland has missed several key opportunities in transition when they have numbers. •	Maryland is settling for tough, off balance shots in the last couple of minutes of the half. •	Singler scores a lay-up right before the buzzer to put Duke up 9 entering half-time. •	Offensive rebounding is keeping Maryland in the game to start the 2nd half. •	At 15:00 minute mark- Duke missed 3 straight 3 pointers on one possession- all wide open. •	Dukes post players are providing much needed scoring tonight with Smith struggling with his offense. Kelly and Plumlee are playing well. •	Maryland is in the bonus already with 13 minutes left- Maryland has to start making their FT’s. •	Nolan Smith injured his left foot with 6:50 left in the game and did not return. •	Duke is struggling to hit the 3 this half- they are getting some good looks. •	Both teams are playing incredibly hard this game. •	Curry is playing well as the primary ball handler with Smith out. He is doing a good job defensively and making plays. •	Maryland is struggling to score-cant buy a bucket. •	Duke is playing great half-court defense- forcing Maryland to take contested shots. •	Big win for Duke especially with Nolan Smith’s poor offensive performance and late game injury. Strengths- Showed the ability to grab defensive rebound and go coast to coast for the lay-up. Good shooter with the ability to shoot off the dribble. Good defender- challenges every shot. Good FT shooter. Good defensive rebounder. Has the ability to hit the contested shots because of height and high release. Weaknesses- Had some careless turnovers early. Not the quickest or most athletic. Needs to improve ball handling- turns his back to defense against pressure. Needs to improve play making and passing. Overview- Got off to a much needed great start- did not miss a shot in 1st half. Had been struggling to find his stroke in the last few games- would not be denied tonight. Lead Duke to victory with Smith having an off night. Overall, Singler is a solid player on both ends of the floor. Would be a solid second round pick in the upcoming NBA draft. A NBA team would not be taking a big gamble taking a proven 4 year college player as they would taking a project player from over seas. Strengths- Changes speeds well and can get to basket. Uses body well to shield defender in air. Good FT shooter. Good on ball defender- good lateral foot speed. Good shooter off the dribble. Able to create his own offense. Weaknesses- Tends to pull up for the jumper when going left and slashes to the rim when going right. Prefers to go right- more explosive when he goes right. Frustrated by good Maryland defense being defended by taller/ longer players. Can get out of control and sloppy at times- TO prone. Struggled with his shot this game- took some poor shots- faded away on pull-up. Overview- Poor performance from Smith today who is in the running for the National Player of the Year Award. Still showed the ability to get to the paint and score. Injured left foot with 6:50 left in 2nd half and did not return. This would be a huge blow to Duke if injury is serious. Strengths- Draws fouls at a high rate- gets to FT line more than anyone in the ACC. Good rebounder on both ends. Playing well defensively-contesting and blocking shots. Not very athletic but has good timing to block shots. Very strong- has the strength to establish deep post position and back man down. Duke can not guard him with one player. Good back to basket post game- showed ability to use either hand- showed patience in post. Does a good job of going to the opposite side of the rim for the reverse and uses the basket as a shield. Uses his body well. Very efficient offensively. Can finish with contact. Weaknesses- Not very quick or athletic. Poor FT shooter. Looked uncomfortable defending on the perimeter- had a tough time defending Ryan Kelly from Duke who took him outside the paint. Needs to improve midrange jump shot. Needs to continue to improve conditioning- looked tired at the end of the game. Overview- Strong and physical post presence for Maryland this season. A double-double threat every game. Terrific rebounder. Will need to improve shooting at next level. Could play and contribute in the NBA next season. The question still remains if Williams will return for his junior season. Strengths- Good rebounder- secures rebound and chins it. Has the ability to hit the open mid range jumper- good looking jump shot from FT line extended- misses are off back of rim. Active/hard worker/ hustles. Good pick and pop player. Good defender. Weaknesses- Fades a bit on jump shot when defended closely. Needs to improve overall offensive game. Overview- Gregory had a solid game today and is a vital to Maryland’s success as they continue in the post season. Good energy guy and rebounder. Has a career ahead of him playing overseas.